For an ever-long time, Spielberg's first foray into cinematic terrain remained a mystery. Only a small circle of people had seen his 35mm short film during its short-lived theatrical run in December 1968. Even fewer had access to a film recording. 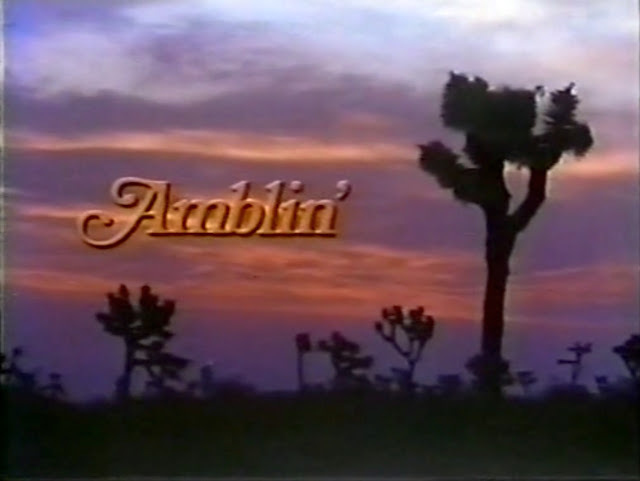 Amblin' was never broadcast on television or sold on disc or otherwise. Compared to the director's other films, very little has been written about Amblin', although it paved the way for Spielberg's career as a professional director. Finally, eight years ago, a video recording appeared on Vimeo and YouTube. It was of deplorable quality and came from obscure sources, but that was fine for me and all the other Spielberg aficionados who had waited so long for the lost key to Spielberg’s early work. I had no idea what was waiting for me behind the opening titles and how much this film has in fact influenced Spielberg's subsequent work. To tell you upfront: There is no groundbreaking story. According to Spielberg, he scribbled it down in one day. When a young guy with a guitar case (Richard Levin) hitchhikes to California he meets a hippie girl (Pamela McMyler) who joins him. Waiting for the next car they start fooling around. Later, she offers him a joint. Camping in the desert overnight they are getting closer and make love. Apparently, the guitar case carries a secret, which the girl doesn't reveal until they arrive in California. [SPOILER!] There is no guitar in it, or other signs of a free-spirit like herself, but some average guy stuff such as a tie, mouthwash, toilet paper and so on. While the boy is splashing about in the Pacific, the girl goes away. More unusual than the story is the fact that – to save money – Amblin' was shot without any dialogues; its soundtrack consists of nothing more than music and some noises. 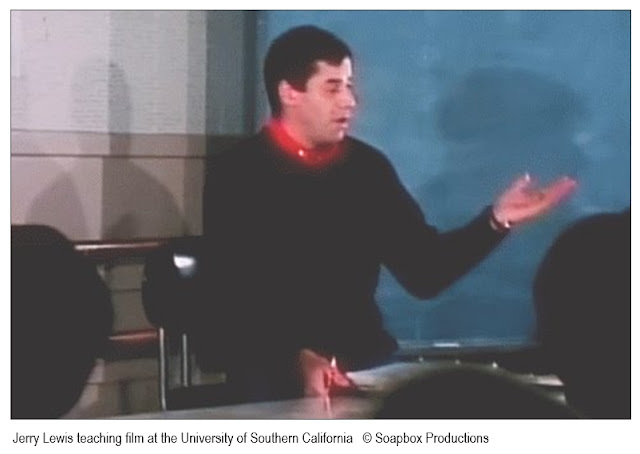 So Spielberg had to solely rely on pictures to tell his story, as it turned out one of his strengths. Exterior shooting for Amblin' took place in July, near Pearblossom, north of Los Angeles. Due to the desert’s unbearable heat some of the friends Spielberg had persuaded to help out chose not to show up the next day. All of them worked without pay (only for the mention in the credits) as the budget was limited to about $20,000, including post-production. To promote the band October Country (previously contracted by him) the film was to be accompanied by one of their songs. Spielberg had to commit himself to shooting his next five films for Hoffman's production company. Either the producer was an amateur, or he was a medium and envisioned the future market value of 22-year-old Steven Spielberg. Among the crew members who endured the scorching heat of the desert to the very last day of shooting were Spielberg's sister Anne (continuity and catering) and cameraman Allen Daviau, the future DP of E.T. the Extra-Terrestrial and Empire of the Sun. Alongside directing Spielberg shot the “Making of” with his 8mm camera (the same one that he had used to create his first home movies). When wrapping up the 10-days shoot, Spielberg had produced about three hours of film (notice his early talent to clock in a lot of takes under high pressure in order to have a large range of scenes to select from during the editing process). On the downside he had to edit a short film from miles and miles of raw footage. Spielberg took care of it himself and trimmed Amblin' to 26 minutes. He also integrated the October Country theme song and added effects like match cuts and freeze frames, which were quite unusual at that time. Amblin' hit theatres as the supporting film of Otto Preminger's Skidoo, a failed comedy about hippies and gangsters, and its theatrical run ended after just one week. At least, the Los Angeles Times found some words of praise for Spielberg’s debut: "a splendid film to watch". One year later, Amblin' made it to the Venice Film Festival. At the Atlanta Film Festival, Spielberg took home the award for Best Short Film. Spielberg began to leave his first traces on the big screen though his breakthrough as a feature film director was still a few years away. In retrospect, Spielberg called Amblin' "a great Pepsi commercial [with] as much soul and content as a piece of driftwood". He said the film was made for the single purpose of convincing studio bosses of his craftsmanship so he could get a job as a director. His plan worked out. Chuck Silvers, head of the editorial department at Universal and Spielberg’s early mentor, urgently asked Sidney Sheinberg, head of the television department, to watch Amblin'. Sheinberg was so impressed by what he saw he couldn’t help but offer Spielberg a seven-year contract as a television director. The rest is history. Oh, by the way: The five films Spielberg had committed himself to direct for Denis C. Hoffman would never materialize. Spielberg declared the contract invalid claiming he had not yet reached the required age of 21 at the time of signing. Hoffman agreed to a contract cancellation against a payment of $30,000. Spielberg supported some of Hoffman's projects with financial contributions and contracts. In his seminal book "Steven Spielberg - A Biography" (first published in 1997), Joseph McBride's emphasized that Spielberg must have been 21 years old when he signed the contract. The matter occupied the courts until the 1990s. Hoffman demanded compensation for lost revenues of 33 million dollars. Spielberg responded by raising a counterclaim which probably led to an out-of-court settlement. After securing all rights for Amblin' Spielberg made a point of preventing this film from ever being released on disc or shown on television. This is why today only a few inferior recordings are available. They were made when Amblin' was shown at film universities for educational purposes. Is the film actually as insubstantial as claimed by its director? Yes, if you only look at its surface. No, if you look a little closer. In terms of craftsmanship alone, Amblin' is an impressive achievement, even more so if one takes into account that Spielberg never attended a film university. But there is more. Amblin' is an authentic portrait of his generation – represented by a hippie girl who is living into the day and a young man who pretends to be a drop-out while planning his West Coast career. In Spielberg’s film, the girl appears more casual, open-minded and sharp-sighted than the boy, his alter ego. Measured by the director’s young age, this is an amazingly self-reflexive work. When Spielberg finally chose the film’s title for his production company Amblin Entertainment he did it for good reasons. A closer examination of Amblin' reveals a surprising range of styles and techniques that can still be found in Spielberg's most recent work. Let’s look at them one by one along with samples from his feature films. Escalation: Long periods of waiting are told by escalating edits of a motorcycle and three cars racing by, while the camera abruptly changes its position. Later, Spielberg’s editing "multiplies" a small number of spat out olive pits to a vast amount. Staging the horizon: When a car slowly emerges behind the road's ascension, the hitchhiker’s expectation is transferred to the audience, creating tension. This effect is used in a different way when the couple walks along the edge of the horizon, emphasizing the long-distanced wasteland they have to cross. Deep staging / staggering of heads: When the boy and the girl compete to see who can spit olive pits the farthest, Spielberg arranges their heads in Z-axis direction applying shallow depth of field. By shifting the focus he points our attention towards the active protagonist. Camera at ground level: Spielberg places the camera at ground level in order to show results of the two hitchhikers’ ongoing olive pits spitting competition. Silent dialogue: When, at the beginning of Amblin', the girl appears on the other side of the highway the boy does not seem too pleased about the competing hitchhiker. At the end of their silent dialogue the girl manages to elicit a smile from the boy. Spielberg’s succession of shot / reverse shots efficiently generates empathy. In 15 seconds the ice is broken and they are a team. 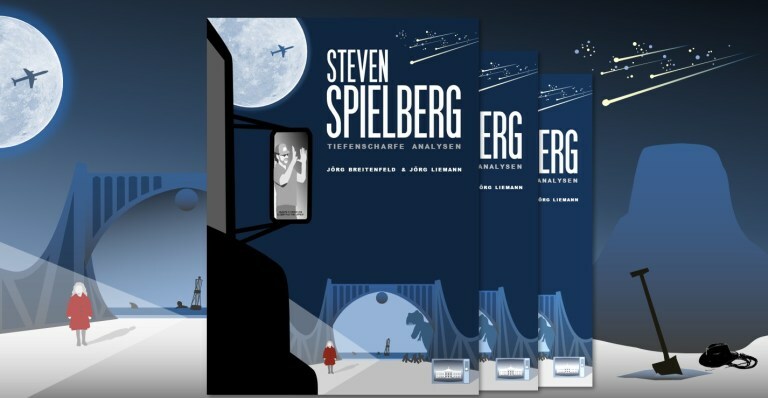 Silent dialogue is featured in other Spielberg films such as Jaws (little Sean imitating his father) and Close Encounters of the Third Kind (mashed potatoe). Breaking frame borders: Spielberg has the girl’s face emerge from below the frame, thus expanding the image area and increasing her first close-up’s impact. He will use the same effect in films such as Jaws and 1941. Hitchcock commented this innovation as follows: "Young Spielberg is the first one of us who doesn't see the proscenium arch." Change of perspective: In an "objective" angle, the two hitchhikers are depicted from a bird's eye view. At this point, the street separates them. The girl's face first appears from the boy's point of view, whereas towards the end the story is told from the girl’s point of view. By changing perspectives in different ways, the director challenges us to come to our own assessment of the characters and their actions. Reflection shot: Spielberg uses a change of perspective variant when showing us the protagonists in rear-view mirrors of passing vehicles. From the driver's point of view, we ponder: Would I pick them up? The mirror literally serves the purpose of reflection. One of the rear-view mirrors in Amblin’ belongs to a truck, thereby anticipating Spielberg's TV film Duel. Change of perspective and reflection shots will become Spielberg’s trademarks in his later films. Long take: Sequences are typically edited into several scenes. Less frequently, they are created within one continuous take. Spielberg applies a “long take” after the hitchhikers’ first encounter, having the camera follow their movements for almost a minute while the boy and the girl are checking out each other. Spielberg attaches great importance to the precise choreography of camera and actors, telling his story by having the protagonists move around within the scenery and in relation to the camera, so his audience soon feels as disoriented as the boy since he met the girl. The long take not only helps the director to externalize inner emotions and subtly point our attention at important aspects of the scenery. It is also an economical way of shooting many setups in a single take. However, the smallest glitches caused by an actor, the choreography, the light, the camera etc. can ruin the scene which would have to be done again from its beginning. So, the long take is a tool for experienced directors only. Young Steven Spielberg masters it right from the beginning and it remains to be one of his most prominent trademarks. Maybe Spielberg has a fondness for the long take due to its "thrill" of unpredictability. Match cut: Spielberg marks the plot’s turning point (the boy and the girl become a couple) by editing a matching sequence of images. The sleeping bag’s zipper symbolizes the beginning of their intimacy at their night camp. A transition leads to the next day depicting the middle strip of the freeway in place of the zipper. We see the couple walking in unison on the road marking. 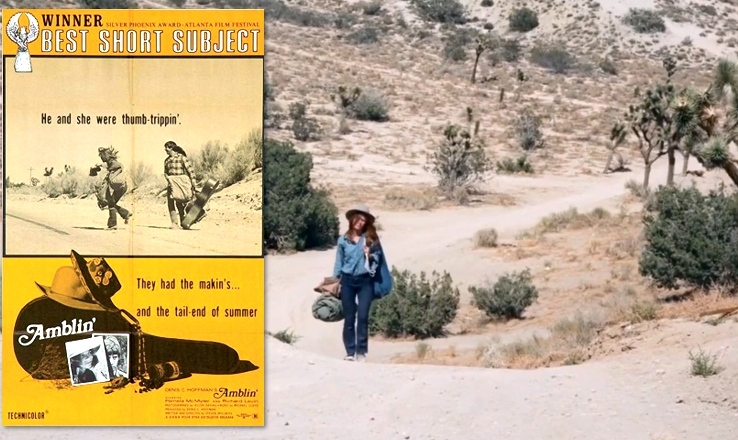 Sidetracking: The camera movement follows the couple along their way through the desert. To emphasize movement and depth of field, Spielberg has Joshua trees pass by in the foreground. In The Sugarland Express the trees are replaced by tall grass and in The Color Purple a field of flowers serves a similar purpose. The sun: Not a storytelling technique but another typical element of Spielberg films, the giant sun rises above the desert during the opening titles of Amblin’ – symbolizing the beginning of the couple’s quest for a new phase of life. Frame within a frame: By applying this kind of image composition, the director wants to point our attention to a specific part of the image. 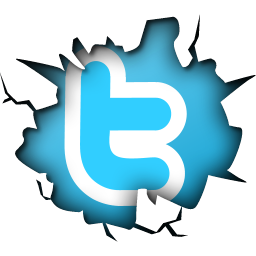 For example, a person is framed by an object that creates a framework within the film’s image. In the water passage beneath the highway, Spielberg depicts the couple as a silhouette framed by black tunnel walls in order to bring into focus the intimacy of this moment. A side effect is the circular shape of the bright background which creates the illusion of a huge full moon (one of the most popular Spielberg images in which E.T. and Elliott also appear in the form of a silhouette). 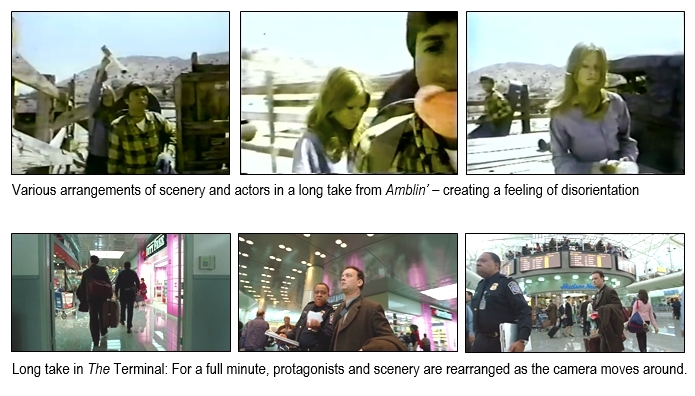 In Amblin' Spielberg applies the “frame within a frame” composition a couple of times, e.g. at the fence (an effect he uses again when introducing young Albert Narracott in his film War Horse). Spielberg face: When the couple finally reaches the Pacific coast, Spielberg does not show the ocean right away but points the camera at the protagonists’ different expressions: the boy looks on full of excitement and expectation, a great future before his eyes, whereas the girl remains skeptical, already sensing the end of their relationship. By allowing the actors to react to a scenery before showing it, Spielberg raises the audience's expectations and builds a bridge to the protagonists’ emotions. In his later films this is enhanced by the camera tracking in on the face ("Track-In Shot"). The “Spielberg face”, always gazing upwards, is famously used in films such as Raiders he Lost Ark, Jurassic Park and Close Encounters of the Third Kind. Rosebud mystery: “What does the boy hide in his guitar case?” Spielberg let’s us wonder by repeatedly placing it in the foreground. Similar to the Rosebud sled in Orson Welles' Citizen Kane, the riddle is only solved at the very end of Amblin'. In Raiders of the Lost Ark, the question is: "What is inside the Ark of the Covenant?" The Ark ends up in an anonymous box in a warehouse, a reference to Kane's hodgepodge of collectibles in Citizen Kane’s final image. Other Spielberg films such as Saving Private Ryan (“Who is Ryan?”) and Schindler's List (“Why does Schindler save the Jews?”) contain similar secrets. 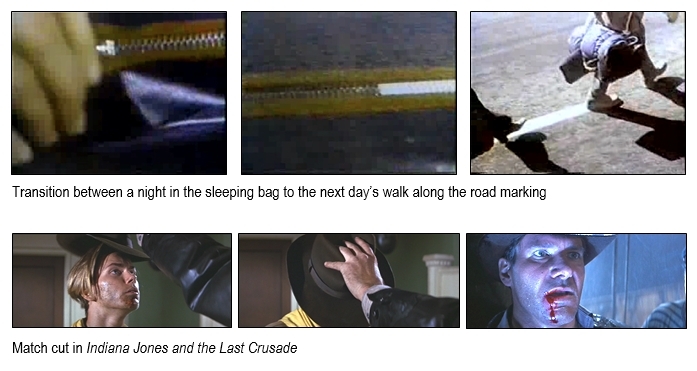 The samples from Amblin’ demonstrate how early Spielberg has used some of his typical story-telling techniques and elements that he has perfected until today. Amblin’ (1968) and other depicted films are owned by Amblin Entertainment and other companies concerned.